I’m thrilled with all of the holiday projects that were shared at last week’s party! 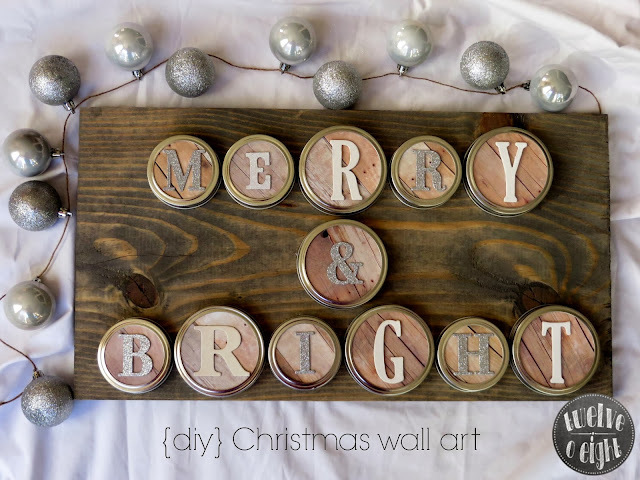 I’m featuring 4 of my favorite easy Christmas crafts that all include tutorials, and were all repurposed from other items. I absolutely love this Christmas wall art that Tanya @ Twelve O Eight made out of canning jar lids. 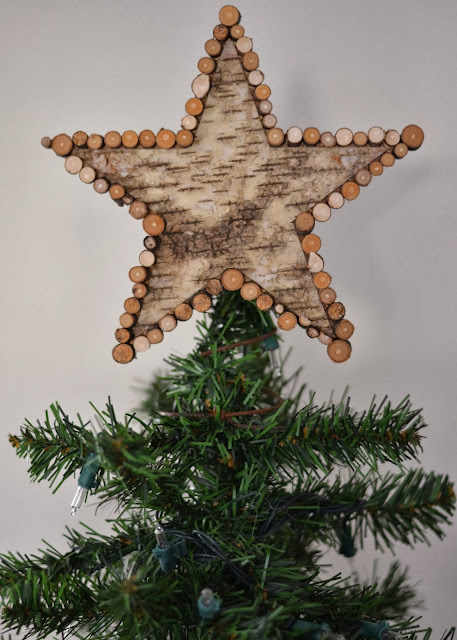 This rustically pretty Birch Bark Tree Topper was created by Melissa @ Shabby Love. Adina @ Simply Country Life gave her old measuring tins some Christmas charm with burlap, ticking & words transferred onto duck cloth. This flannel pillow slipcover, made by Robin @ Happy at Home is so cute and homey for the holidays, and it’s a great way to reuse a favorite shirt. If you missed the Junkers United Christmas Event – you missed a LOT! Click HERE to see what all the fuss was about! Don’t miss any upcoming projects, or printables, get all my posts delivered straight to your email! Thank you for the great party. Have a nice December. Thanks for hosting Knick of Time, always a pleasure to join in Angie. Thanks for hosting! Creative ideas abound. Thank you so much for offering these fun parties to link to! I love vintage style! Thank you for hosting, Angie! Have a great week! Thanks for hosting Angie, always fun! Thanks so much for hosting Angie! Always a great party! Angie, I hope you are enjoying the beginning of another beautiful Holiday Season….thank you for hosting! I love your parties! Those are my kind of holiday features. I especially love that flannel shirt pillow. Happy Holidays! Love the rustic appeal of the features today. Thanks for hosting! finally able to get over here and share again. busy busy with my store and Christmas…..